Emporio Armani looked to the streets in order to cast its spring-summer 2018 campaign. The Italian fashion brand casted talent from major European cities for the advertisements. Captured in Milan, Italy, the images were shot by Ben Weller, Mark Peckmezian and Pawel Pysz. 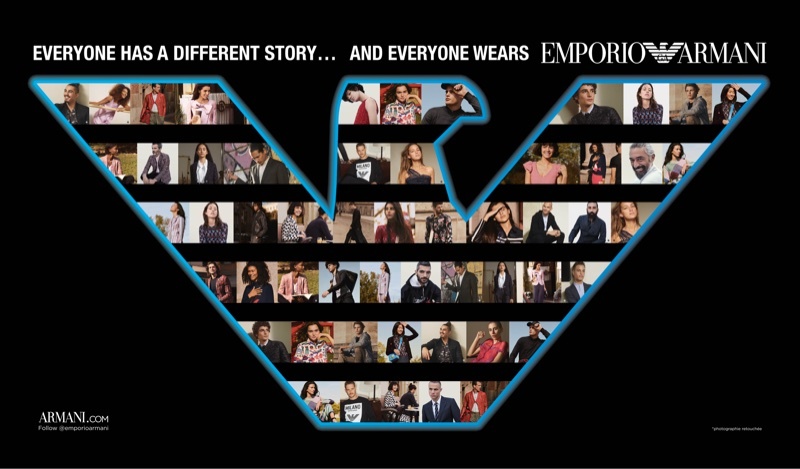 Using the tagline 'Everyone Has a Different Story...And Everyone Wears Emporio Armani', the company looks to individualism for the new season.